Wilfred N. Cooper, Sr., is the founder, Chairman of the Board, and a Director of WNC & Associates, Inc. The company’s core business is sponsoring investments in affordable housing tax credits. In this capacity, WNC and its affiliates serve as a general partner with expertise in structuring investment funds. Mr. Cooper is a recognized leader in the affordable housing industry. He has testified before committees of the U.S. Senate and House of Representatives on matters pertaining to the affordable housing industry. In 2001 Will received the Limited Income Communities (LINC) Housing Honors award. He is a Senior Life Director of the National Association of Home Builders (NAHB), a National Trustee for NAHB's Political Action Committee and a past Chairman of NAHB's Multifamily Council. Mr. Cooper was elected a Life Trustee in 2006 of the National Housing Conference (NHC) and is a co-founder and Director of the California Housing Consortium (an affiliate of the NHC). 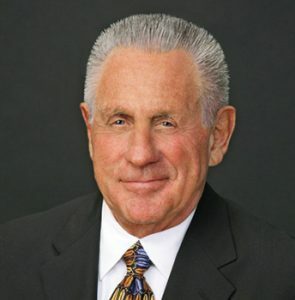 He also serves on the Board of Directors for the Building Industry Association of Orange County (BIA/OC) and the Southern California Building Industry Association (BIA/SC). Mr. Cooper is active in the Multifamily and Infill Committees of the California Building Industry Association (CBIA). Mr. Cooper also volunteers his time with several non-profit organizations and serves on the Board of Advisors for Jamboree Housing (a non-profit developer of affordable housing) and the Board of Directors for Volunteers of America and the Tuberous Sclerosis Alliance. In 2011 he was inducted into the Affordable Housing Hall of Fame of the Affordable Housing Finance magazine. ​Mr. Cooper graduated from Pomona College in 1956 with a Bachelor of Arts degree.